Modernism whereas the compact small armchair (width 72, depth 67, height 75), however, looks like a small, enchanting monolithic sculpture. The Spanish artist and designer Jaime Hayon was born in 1974 in Madrid. After his industrial design studies in Madrid and Paris, in 1997 he became part of the Fabrica, founded by Benetton design and communication academy in Italy, where he led the design department until 2003. In 2000, Hayon founded his own studio and dedicated himself entirely from 2003 to his personal projects. Today he is one of the world’s most respected artists. His works are in the permanent collections of some of the most prestigious galleries and museums: the MAK Vienna, the Design Museum London and the Centre Pompidou in Paris – just to name a few. His passion for handicraft techniques has led to collaborations with renowned traditional companies. His creativity knows no bounds: He designs furniture series, lamps and accessory collections, designed interiors for restaurants, stores and hotels. His work has appeared in the most prestigious art and design publications in the world. He has received numerous awards. Wallpaper Magazine designated him as one of the most influential artists. 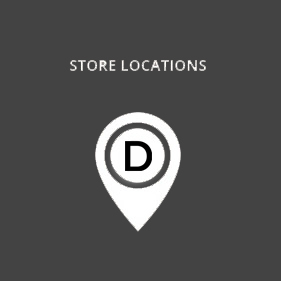 Hayon currently operates offices in Italy, Spain and Japan. Known to approach time-honoured shapes with creativity and curiosity, to question them and then redefine them with an amazing sense of ease and light-heartedness. This search for new challenges and perspectives and his passionate appreciation of traditional handicraft techniques, make Jaime Hayon the ideal partner for Wittmann. Hayon cherishes admiration for a design era with which Wittmann is also closely linked: The time of the Wiener Werkstätte, the era of Josef Hoffmann, who brought a new freshness into the buildings of the Viennese bourgeoisie with his holistic approach to the early 20th century. The collection “WittmannHayon Workshop” is a playful interpretation of this history that Hayon – who works with an impressive range of materials – has been able to revive through his reflections on style and comfort. Sensual curves with sophisticated proportions and angles characterize the sofas and chairs in the collection. Unexpected combinations of materials turn the side tables into exciting companions. Here, Spanish exuberance and Austrian craftsmanship combine into a graceful and almost self-evident manner. The collection “WittmannHayon workshop” carries both the inimitable signature of Jaime Hayon and the unique features of a genuine Wittmann. 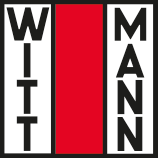 AUSTRIAN HANDCRAFT SINCE 1896 – Wittmann is a family business – manufacturing high-quality upholstered furniture.